The rules of engagement have changed. If you struggle with designing and executing effective content marketing campaigns this is the course for you. 88% of B2B marketers already use content in their marketing, yet only 40% are happy with the results. Its time to reinvent your approach to content! Throw away the old playbook and learn how to get content for a B2B audience right. With the content Tsunami that assaults your customer's everyday, learn how to ensure your messages get through? 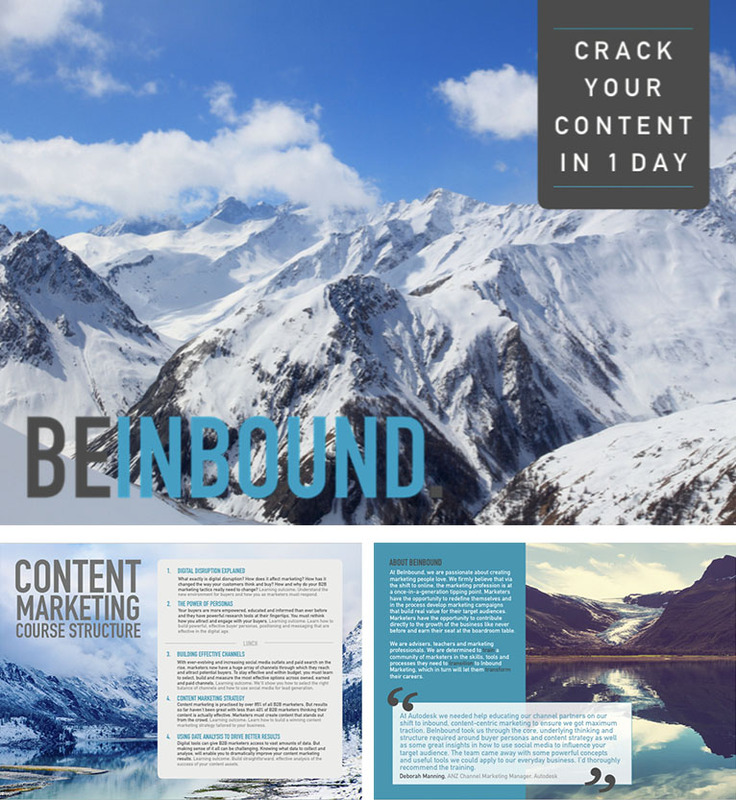 Read our brochure and see what BeInbound can do for you and your organisation.